Sometimes our operators like to make a GRAND entrance onto our job sites. 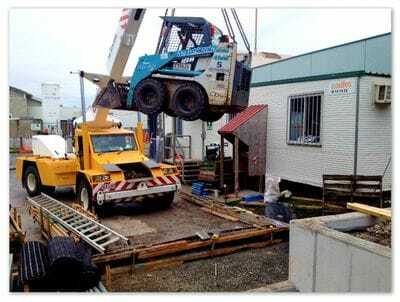 Getting to the dig site isn't always simple access and often a crane is needed to assist. 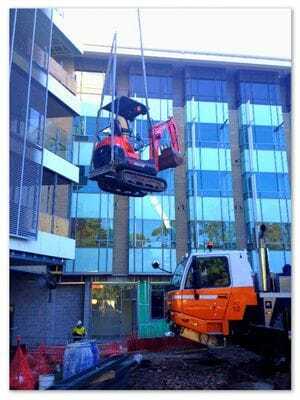 Our mini combo operator, Curly recently needed some assistance on his job to work underneath a building. Brisbane Floods 12 Months On..
We received a pleasant surprise in the post recently from one of our many customers affected by the devastating 2011 Brisbane floods. We hope each one of our machines made a similar impact during this difficult time for all of our customers.